Transitioning into training, education and employment are important steps for all students. If you are a person with disability aged 15 to 64, you can receive support with this transition through the National Disability Coordination Officer (NDCO) Program. UON is proud to support National Disability Coordination Officers for the New England-North West (Region 2), Hunter-Central Coast (Region 6), and North Coast (Region 7). There are many pathways to consider when leaving school. Here you will find information on resources and support to help you map out options and prepare for life after school − whether you are transitioning to study or work. Employing someone with disability creates a workplace culture within your organisation that values diversity and promotes the employment of people with disability. 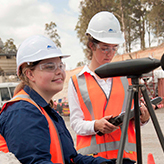 See information on internship programs and employing a person with disability. 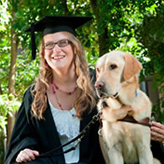 If you are a graduating student with disability, your NDCO can help make this transition as smooth as possible and assist you to find the information you need to secure employment. Learn more about internship programs and finding employment. Your regional NDCO can assist you to find information about options for study or securing employment.